Red Bull simulator development driver Jake Dennis will make his on-track debut for the team in the two-day test at Barcelona. The Ex-GP3 and European Formula 3 driver, who currently combines his Red Bull role with racing in Blancpain GT, has been named alongside Max Verstappen as part of the Red Bull’s driver line-up at the Circuit de Catalunya. Verstappen is due to take on driving duties on Tuesday, with Dennis set to provide ‘useful correlation’ between simulator and track on Wednesday. 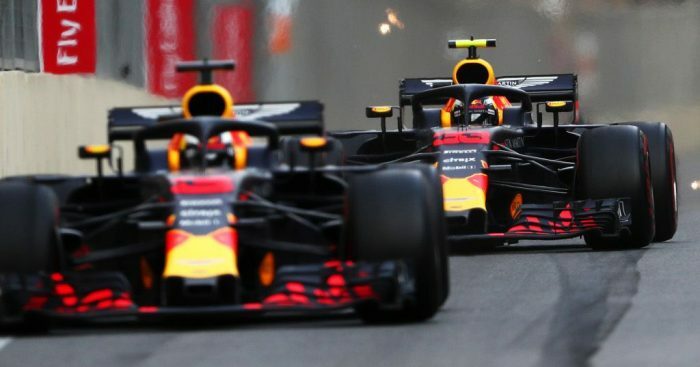 However, with rain forecast over the next couple of days in Barcelona, Red Bull may switch their schedule in order to maximise their running. The news comes after Mercedes and Ferrari both announced that Lewis Hamilton and Sebastian Vettel will also be present at the first in-season test of the season.